Amid a massive manhunt for the fugitive LA ex-cop suspected of having killed three people, authorities announced a reward of $1 million for information leading to his arrest. “Hopefully, the reward will motivate people that may be involved with assisting him or might be reluctant to talk to us to call us and to put an end to this,'' Sgt. Rudy Lopez said ahead of the announcement by LA Mayor Antonio Villaraigosa on Sunday. This comes after Los Angeles police officials announced they will reopen an investigation into the 2008 firing of former officer Christopher Dorner. Meanwhile the US Border Patrol has joined the manhunt to prevent the fugitive’s escape to Mexico. 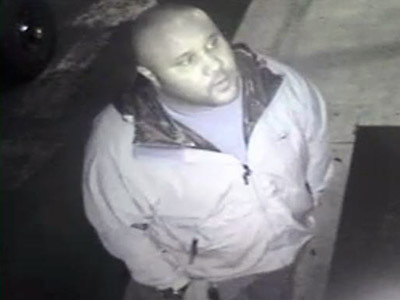 Former LA police officer Christopher Dorner allegedly killed the daughter of a retired LAPD captain and her fiancé on February 3. Four days later, a police officer was shot dead, presumably also by Dorner, who promised still more deaths in his online manifesto. 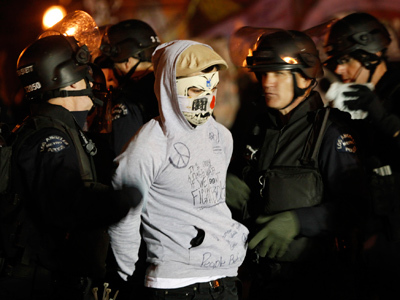 He explained his actions as revenge for being unfairly dismissed from the force five years ago. He also believes himself to be the victim of racial discrimination. 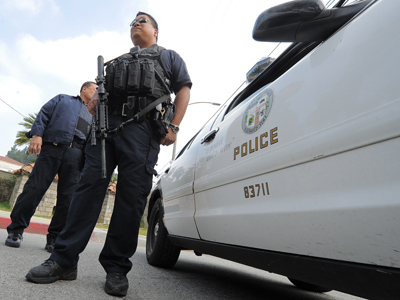 The Hollywood-style thriller of a manhunt for Dorner has continued for the last three days. 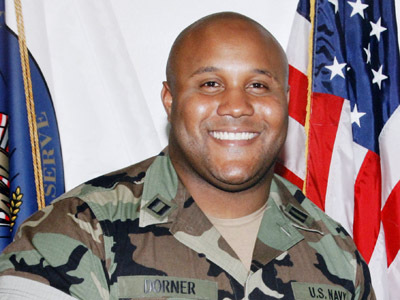 Despite Dorner’s being suspect to three killings, some of the sentiments expressed by him appear to have resounded with the public, with part of it pronouncing him a hero fighting for his rights. His fan pages appeared on Facebook, while comments on the manhunt story abound in Hollywood film references – The Rambo, The Dark Knight and The Fugitive. 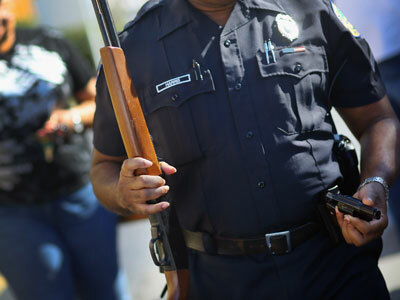 LA police department denies it was ever unfair to Dorner, but promises to reinvestigate his dismissal. The manhunt for the ex-cop was joined by heavily-armed and specially-trained US Border Patrol tactical response teams on Saturday, for fear that the suspect may be able to escape to neighboring Mexico. Dorner is being searched for in the ski-resort area of Big Bear Lake in the San Bernardino Mountains, where his pickup truck was discovered burning on Thursday. Three days of manhunt by hundreds of officers on the ground as well as air units have so far brought no results. 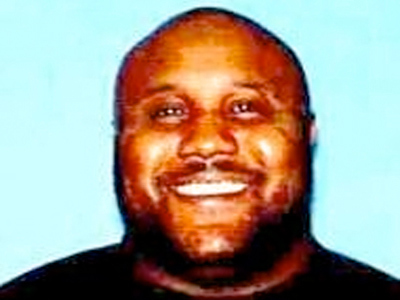 Authorities admit that Dorner might no longer be in the area and that the demolished vehicle could have been a diversion, or even a trap. Police have been so frantic to catch Dorner that they twice opened fire at people whom they mistakenly took for the ex-cop.